Forming a BCHO chapter is not difficult; however, there are a number of requirements. 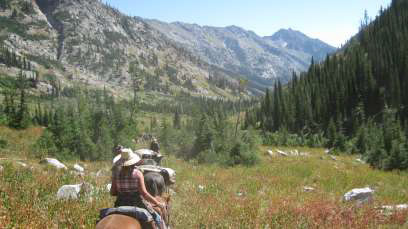 First, those interested in creating an organization must subscribe to the objectives and the purposes of the Back Country Horsemen of Oregon who is an approved State Organization of Back Country Horsemen of America. See Requirements to become a BCHA Organization, Those purposes do not preclude other interests, but a saddle club that may take an occasional trail ride is not a BCHO organization. All persons who subscribe to the purposes and objectives of BCHO by application and payment of current annual dues will become a member of BCHO. Membership may be Individual, Family, Patron, Benefactor, or Sustaining.As a member, you are also a member of Back Country Horsemen of America, a portion of your BCHO dues pays your BCHA dues. For more details please contact our President at president@bcho.org.